Okay, so we know you can keep remaking classic instruments and give people a good time. But what if you want something new and crazy? Can you bottle sonic weirdness and make it work for other people? The first time I saw Peter Edwards play live was at an event we hosted in New York. He had a small box with a large spherical light on the top – and then proceeded to deafen and blind the audience in a maelstrom of noise and colored flashes. The impressive thing about the softPop when you first play it is that it takes all that madness and makes it portable and eminently playable. You can crank it and make powerful noise. 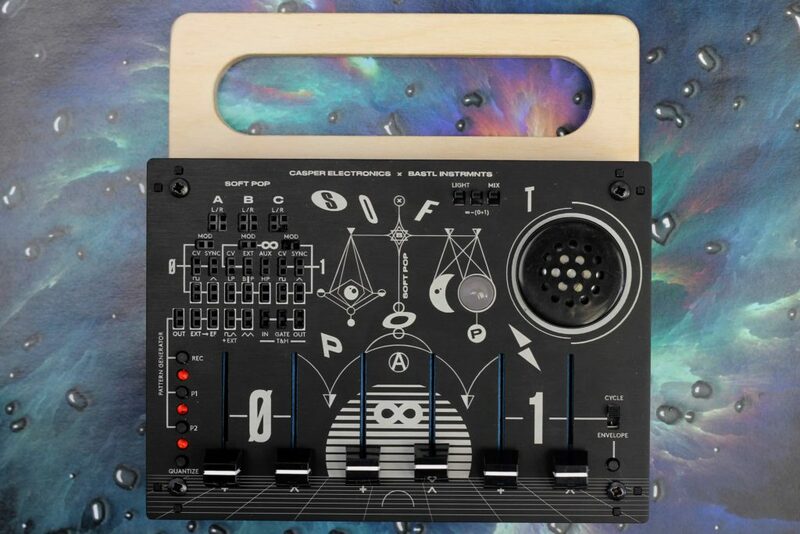 You can dial it into a sweet spot and get some grooving club-friendly acid basslines. You can dial it somewhere else, and get delicate watery bloops or alien speak. And, while I may offend people here, I love the fact that you don’t necessarily need to know which fader you’re moving or what does what. So, sure, newcomers will be able to fiddle with the six faders and discover new sounds intuitively. But – let’s get real – that’s just as fun for experts, to have that feeling of unexpected sonic magic, that extrasensory experience of playing the instrument. And in even a short session at SuperBooth, that was unquestionably the impression I had of this instrument. softPop represents years of Peter’s labor, culminating in a collaboration with Bastl Instruments and even a move to the Czech Republic. And while it was already an impressive evolution in Berlin this spring, it seems these crazy kids have continued the hard work of refining the box. What you get is a demonstration of how known ingredients can be combined in very new ways. It’s a bit like putting one really terrific analog patch in a lunchbox. So the two triangle-core oscillators are heavily feedbacked – the source of all the gorgeous sonic uncertainty – plus a filter and sample & hold. That’s already probably worth the price of admission, but there’s external signal processing, too, with envelope follower and sync. 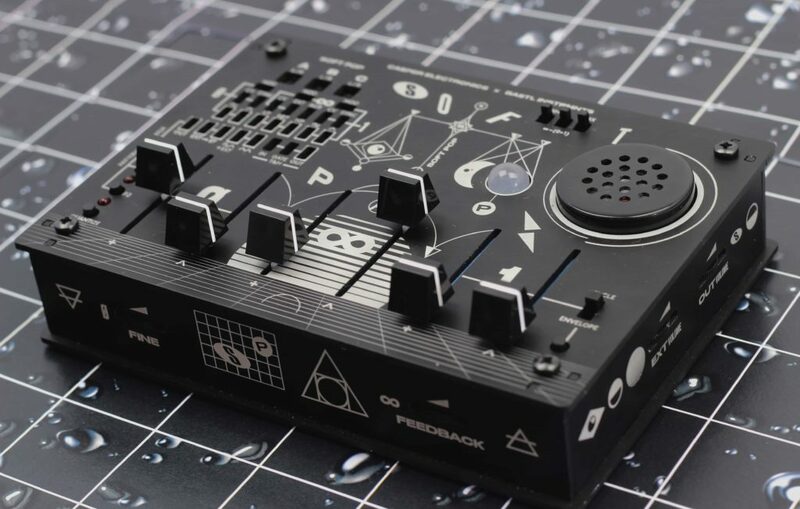 Plus you get a pattern generator so you can start crafting basslines and dances of noises right away, and a mini patch bay for semi-modular operation or patching to other gear. And it’s eminently portable – batteries, built in speaker, and an optional wooden backplate that doubles as a carrying handle. 309 EUR (pre-tax). Preorder now to get the first back at end of August. For anyone with the feeling the synth world has nothing new to offer – fear not, strange survives. We’re watching for the powerful THYME processor, too; Bastl’s release of this notes that production delays mean that’ll shift sales to September.